The Fortigate 60D and 100D were used to build IPSec tunnel between two sites since last year. The Firmware version is 5.2.4 build 668. 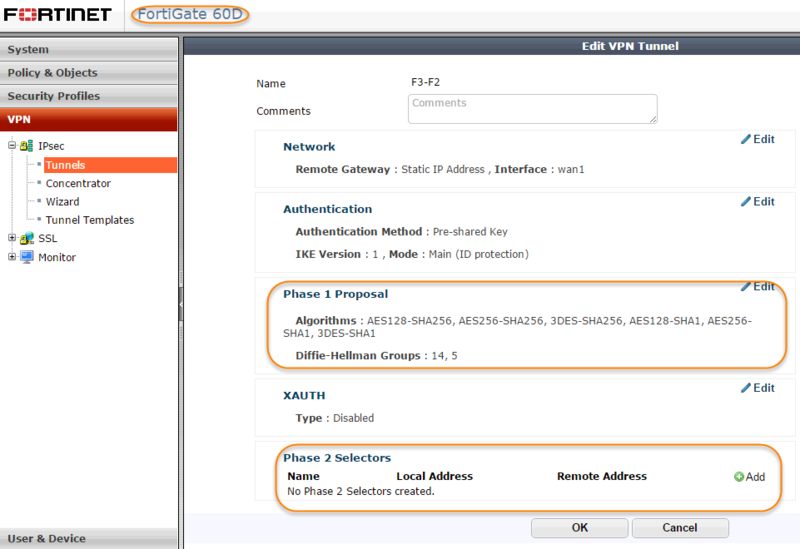 I were planning to upgrade Fortigate 100D to 5.4.1. The upgrade process were smooth but IPsec tunnel got broken after upgrade. Unfortunately, the tunnel between 60D and 100D failed to build after upgrade process rebooted the 100D. Based on following troubleshooting commands on 100D device, we found 100D ignored IKE request from 60D because of missing Phase2 proposal configuration. I tried to put phase 2 on 60D firewall. It shows there is already phase 2 auto configuration from phase 1.
subset    Match selectors by subset. auto      Use subset or exact match depending on selector address type. For autoconf-enabled phase1, a phase2 is already generated internally. It seems 60D with firmware version 5.2.5 is still using auto-configured IPSec Phase2. But 100D has not had that configuration after upgrade to 5.4.1. Quickly I manually put phase 2 configuration in 100D, the tunnel is up right away. 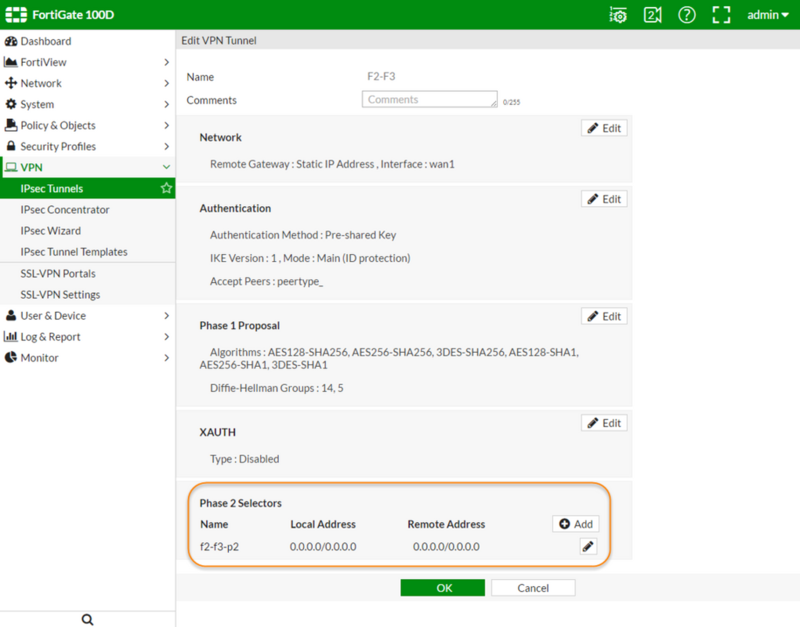 It seems with newer Firmware version, FortiOS changed their default configuration on IPSec Phase 2. 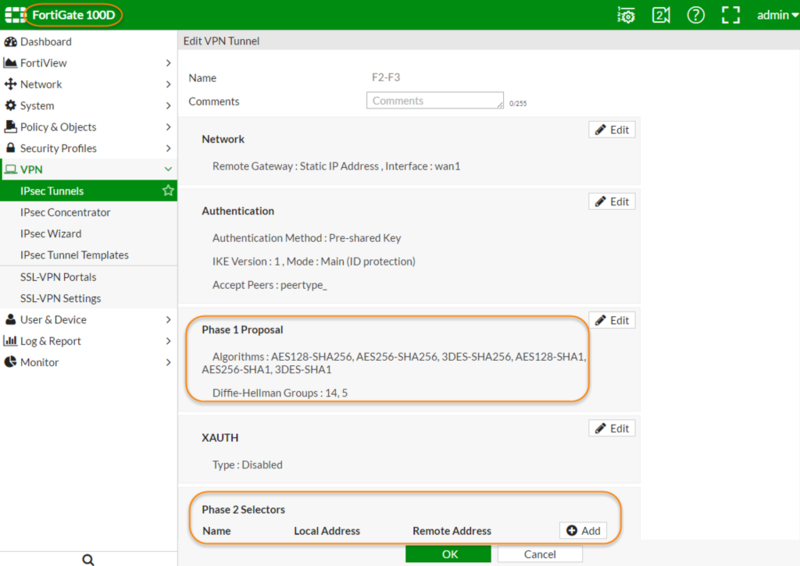 You will have to manually put phase 2 configuration into VPN.